This weekend, Brown University administrators revealed that student Daniel Kopin will not be returning to school after he was suspended for violating the Student Code of Conduct for sexual misconduct. We are limited by law in what we are permitted to say about the circumstances of any specific case. 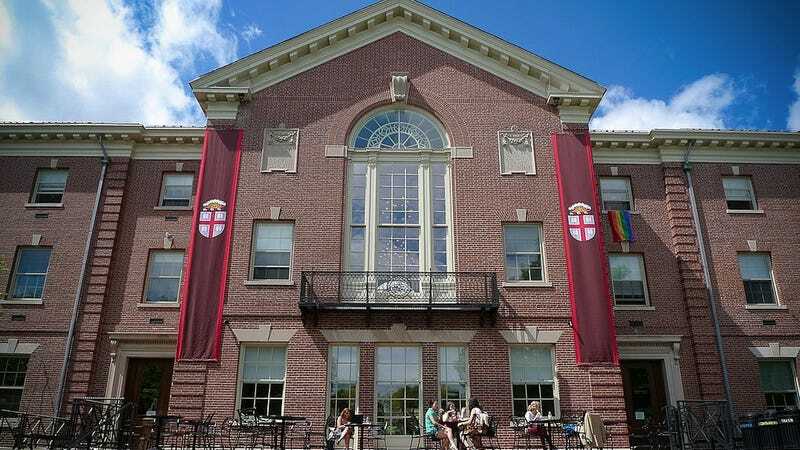 However, with regard to the case that has been widely discussed this past week, you should know that the student accused of the assault has decided not to petition the University for readmission to Brown for next fall. We are committed to taking aggressive steps to ensure that our campus is safe for everyone and as part of that, policies and procedures designed to keep our campus safe must be open to continuous review. Such a review was already planned for the coming academic year. We are accelerating that review and it will include significant input from students. In a statement to the Brown Daily Herald, Kopin's lawyer said Kopin "is deeply saddened by recent events at Brown University and has decided to withdraw his request to return" to campus, though he "maintains that his relationship with the fellow student involved in this matter was consensual." On Tuesday, the White House Task Force to Protect Students From Sexual Assault will reportedly announce its recommendations for colleges about how to best handle sexual assault on campus.